Kabul is located high up in a narrow valley between the Hindu Kush mountains, with an elevation of 1,790 metres (5,873 ft) making it one of the highest capitals in the world. The city is said to be over 3,500 years old, mentioned since at least the time of the Achaemenid Empire. 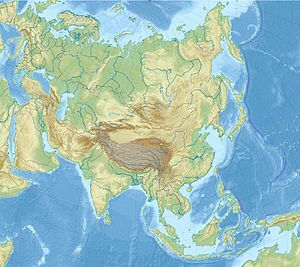 It is at a strategic location along the trade routes of South and Central Asia, and a key location of the ancient Silk Road. It has been part of the Achaemenids followed by the Seleucids, Greco Bactrians, Indo Greeks, Kushans, Kabul Shahis, Saffarids, Samanids, Ghaznavids, Ghurids, Khwarazmians, Qarlughids, Khaljis, Timurids, Mughals, and Hotaks, until finally becoming part of the Durrani Empire (also known as the "Afghan Empire") in 1747. Kabul became the capital of Afghan Empire in 1776, during the reign of Timur Shah Durrani, the son of Ahmad Shah Durrani. Afghanistan–United Kingdom relations refer to bilateral relations between Islamic Republic of Afghanistan and United Kingdom of Great Britain and Northern Ireland. There has been an Afghan embassy in London since 1922 though there was no accredited Afghan ambassador from 1981 to 2001. Kabul is known for its gardens, bazaars, and palaces. 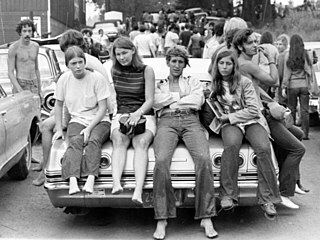 It was also formerly a mecca for young western hippies. Since the removal of the Taliban from power in late 2001, the city began rebuilding itself with assistance from the international community. Despite the many terrorist attacks by anti-state elements, the city is developing and was the fifth fastest-growing city in the world as of 2012. The city is divided into 22 districts. A bazaar is a permanently enclosed marketplace or street where goods and services are exchanged or sold. The term originates from the Persian word bāzār. The term bazaar is sometimes also used to refer to the "network of merchants, bankers and craftsmen" who work in that area. Although the current meaning of the word is believed to have originated in Persia, its use has spread and now has been accepted into the vernacular in countries around the world. In Balinese, the word pasar means "market." The capital of Bali province, in Indonesia, is Denpasar, which means "north market." Souq is another word used in the Middle East for an open-air marketplace or commercial quarter. Kabul ( /ˈkɑːbəl, ˈkɑːbuːl/ ; Pashto : کابل‎Kâbəl, IPA: [kɑˈbəl] ; Persian : کابل‎Kābol, IPA: [kɒːˈbol] )  is also spelled as Cabool, Caubul, Kabol, or Cabul. The Avesta is the primary collection of religious texts of Zoroastrianism, composed in the otherwise unrecorded Avestan language. When Alexander annexed the Achaemenid Empire, the Kabul region came under his control. After his death, his empire was seized by his general Seleucus, becoming part of the Seleucid Empire. The Islamic conquest reached modern-day Afghanistan in 642 AD, at a time when Kabul was independent. A number of failed expeditions were made to Islamize the region. In one of them, Abdur Rahman bin Samana arrived to Kabul from Zaranj in the late 600s and converted 12,000 inhabitants to Islam before abandoning the city. Muslims were a minority until Ya'qub bin Laith as-Saffar of Zaranj conquered Kabul in 870 and established the first Islamic dynasty in the region. It was reported that the rulers of Kabul were Muslims with non-Muslims living close by. Babur began his 1526 conquest from Kabul of the Indian Subcontinent, which was ruled by the Afghan Lodi dynasty and began east of the Indus River in what is present-day Pakistan. Babur loved Kabul due to the fact that he lived in it for 20 years and the people were loyal to him, including its weather that he was used to. His wish to be buried in Kabul was finally granted. The inscription on his tomb contains the famous Persian couplet, which states: اگرفردوس روی زمین است همین است و همین است و همین است (If there is a paradise on earth, it is this, it is this, it is this!) Mirza Muhammad Haidar Dughlat, a poet from Hindustan who visited at the time wrote: "Dine and drink in Kabul: it is mountain, desert, city, river and all else." Having become an established bazaar city, leather and textile industries developed by 1916. The majority of the population was concentrated on the south side of the river. 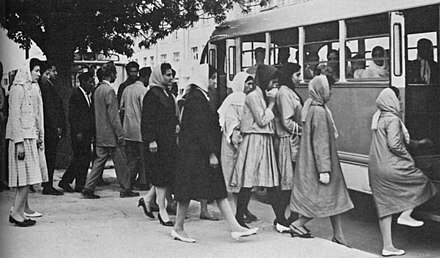 Kabul modernized throughout the regime of King Habibullah Khan, with the introduction of electricity, telephone, and a postal service. The first modern high school, Habibia, was established in 1903. In 1919, after the Third Anglo-Afghan War, King Amanullah Khan announced Afghanistan's independence from foreign affairs at Eidgah Mosque in Kabul. Amanullah was reform-minded and he had a plan to build a new capital city on land about 6 km away from Kabul. This area was named Darulaman and it consisted of the famous Darul Aman Palace, where he later resided. Many educational institutions were founded in Kabul during the 1920s. In 1929 King Ammanullah left Kabul due to a local uprising orchestrated by Habibullah Kalakani, but he himself was imprisoned and executed after nine months in power by King Nader Khan. Three years later, in 1933, the new king was assassinated during an award ceremony inside a school in Kabul. The throne was left to his 19-year-old son, Zahir Shah, who became the last King of Afghanistan. 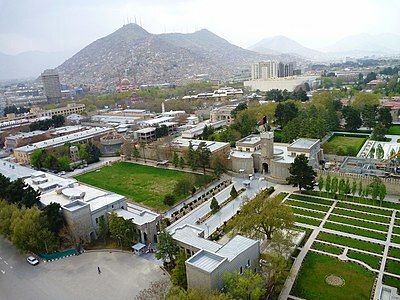 Unlike Amanullah Khan, Nader Khan and Zahir Shah had no plans to create a new capital city, and thus Kabul remained the country's seat of government. In February 1979, U.S. Ambassador Adolph Dubs was murdered after Afghan security forces burst in on his kidnappers. In September 1979 Afghan President Taraki was assassinated by his rival Hafizullah Amin, who in turn was assassinated in December 1979 by a team of Soviet Spetsnaz inside the Tajbeg Palace in Kabul. On December 24, 1979, the Soviet Union invaded Afghanistan and Kabul was heavily occupied by Soviet Armed Forces. Following this invasion, Pakistani President Zia-ul-Haq chaired a meeting in Islamabad and was told by several cabinet members to refrain from interfering in Afghanistan, owing to the vastly superior military power of the Soviet Union. However, Zia-ul-Haq, fearing that the Soviets would next invade Pakistan, particularly into Balochistan province for access to the warm waters of the Arabian Sea, made no secret about his intentions of aiding the mujahideen rebel groups. During this meeting, Director-General of the ISI Akhtar Abdur Rahman advocated for the idea of covert operation in Afghanistan by arming Islamic extremists who formed the mujahideen. General Rahman was heard loudly saying: "Kabul must burn! Kabul must burn! ",  and mastered the idea of proxy war in Afghanistan. President Zia-ul-Haq authorised this operation under General Rahman, which was later merged with Operation Cyclone, a programme funded by the United States and carried out by the Central Intelligence Agency. Large protests against the Soviet presence broke out in Kabul in 1980 in what is called the 3 Hut uprising. The city's population increased from around 500,000 in 1978 to 1.5 million in 1988. The large influx were mostly internal refugees who fled other parts of the country for safety in Kabul. As of 2014, the Afghan National Security Forces (ANSF) have been in charge of security in and around the city. Kabul is periodically the scene of deadly bombings carried out mostly by the Taliban but also by the Haqqani network, ISIL, and other anti-state groups. Government employees, soldiers and ordinary civilians have all been targets of attacks. The Afghan government called the actions of the terrorists war crimes. The deadliest attack yet was a truck bombing in May 2017. Its location has been described as a "bowl surrounded by mountains". Some of the mountains (which are called koh) include: Khair Khana-e Shamali, Khwaja Rawash, Shakhi Baran Tey, Chihil Sutun, Qurugh, Khwaja Razaq and Sher Darwaza. There are also two mountains in between urban areas in western Kabul: Asamayi (also known as the Television hill) and Ali Abad. Hills within the city (which are called tapa) include Bibi Mahro and Maranjan. Kabul has a cold semi-arid climate (Köppen climate classification BSk ) with precipitation concentrated in the winter (almost exclusively falling as snow) and spring months. Temperatures are cool compared to much of Southwest Asia, mainly due to the high elevation of the city. Summer has very low humidity, providing relief from the heat. Autumn features warm afternoons and sharply cooler evenings. Winters are cold, with a January daily average of −2.3 °C (27.9 °F). Spring is the wettest time of the year, though temperatures are generally comfortable. Sunny conditions dominate year-round. The annual mean temperature is 12.1 °C (53.8 °F), much lower than the other large cities of Afghanistan. District 1 contains most of the old city. Downtown Kabul mostly consist of Districts 2, 4 and 10. In addition, Districts 3 and 6 house many commercial and governmental points of interests. The city's north and west are the most urbanized, as opposed to the south and east. Each year about 20,000 foreign tourists visit Afghanistan. 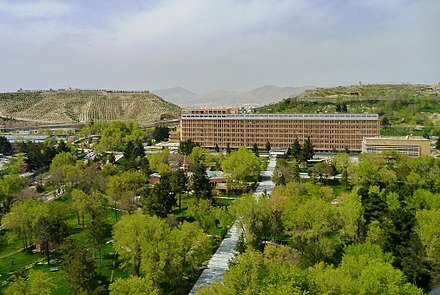 Major hotels in Kabul include; the Serena Hotel, the Inter-Continental, and the Safi Landmark Hotel above the Kabul City Center. There are a number of other less-known hotels. Most visitors prefer lodging at guest houses, which are found all over the city. The better and safer ones are in the Wazir Akbar Khan neighborhood where the embassies are located. Kabul's population was estimated in 2015 at about 4.6 million,  which possibly includes the people of the province as well. Another 2015 estimate has put it at 3,678,034. The city's population has long fluctuated due to the wars. The lack of an up-to-date census means that there are various estimates of the population. Kabul is the most ethnically diverse city in the country, with the population including Afghans from all over the country. In 2003, the National Geographic Channel reported that Kabul's population was composed of the following ethnic groups: 45% Tajik, 25% Hazara, 25% Pashtun, 2% Uzbek, 1% Baloch, 1% Turkmen, and 1% Afghan Hindu. 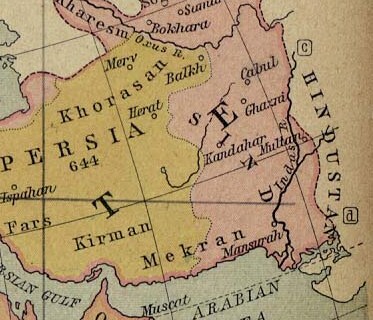 The Dari (Persian) and Pashto languages are widely used in the region, although Dari serves as the lingua franca. Multilingualism is common throughout the area, particularly among the Pashtun people. Kabul's largest industrial hub is located in District 9, on the north banks of the River Kabul and near the airport. About 6 km (4 mi) from downtown Kabul, in Bagrami, a 9-hectare (22-acre) industrial complex has completed with modern facilities, which will allow companies to operate businesses there. The park has professional management for the daily maintenance of public roads, internal streets, common areas, parking areas, 24 hours perimeter security, access control for vehicles and persons. A number of factories operate there, including the $25 million Coca-Cola bottling plant and the Omaid Bahar juice factory. GSM/GPRS mobile phone services in the city are provided by Afghan Wireless, Etisalat, Roshan, MTN and Salaam. As of 2012 [update] , all of them provide 3G services as well. In November 2006, the Afghan Ministry of Communications signed a $64.5 million US dollar deal with ZTE on the establishment of a countrywide fibre optical cable network to help improve telephone, internet, television and radio broadcast services not just in Kabul but throughout the country. Internet cafes were introduced in 2002 and has been expanding throughout the country. As of 2012 [update] , 3G services are also available. Much of the road network in downtown Kabul consist of square or circle intersections (char-rahi). The main square in the city is Pashtunistan Square (named after Pashtunistan), which has a large fountain in it and is located adjacent to the presidential palace, the Central Bank, and other landmarks. The Massoud Circle is located by the U.S. Embassy and has the road leading to the airport. In the old city, Sar-e Chawk roundabout is at the center of Maiwand Road ( Jadayi Maiwand ). Once all roads led to it, and in the 16th century was called the "navel of Kabul". In the Shahr-e Naw district there are several major intersections: Ansari, Haji Yaqub, Quwayi Markaz, Sedarat, and Turabaz Khan. The latter, named after Turabaz Khan, connect Flower Street and Chicken Street. There are also two major intersections in western Kabul: the Deh Mazang Circle and Kote Sangi. Salang Watt is the main road to the north-west, whereas Asamayi Watt and Seh Aqrab (also called Sevom Aqrab) is the main road to western Kabul. Private vehicles have been on the rise in Kabul since 2002, with about 700,000 cars registered as of 2013 and up to 80% of the cars reported to be Toyota Corollas. The number of dealerships have also increased from 77 in 2003 to over 550 by 2010. Gas stations are mainly private-owned. Bicycles on the road are a common sight in the city. Mohammed Zahir Shah was the last King of Afghanistan, reigning from 8 November 1933 until he was deposed on 17 July 1973. He expanded Afghanistan's diplomatic relations with many countries, including with both Cold War sides. In the 1950s, Zahir Shah began modernizing the country in line with Turkey. His long reign was marked by peace and stability that was lost afterwards. Kābul, situated in the east of the country, is one of the thirty-four provinces of Afghanistan. The capital of the province is Kabul city, which is also Afghanistan's capital. The population of the Kabul Province is nearly 4 million people as of 2012, of which almost 80 percent live in the urban areas. The current governor of the province is Hamid Akram. Paghman is a town in the hills near Afghanistan's capital of Kabul. It is the seat of the Paghman District which has a population of about 120,000, mainly Pashtuns and Tajiks. The gardens of Paghman is a major attraction, and is why the city is sometimes known as the garden capital of Afghanistan. Panipatpronunciation (help·info), is a historic city in Haryana, India. It is 90 km north of Delhi and 169 km south of Chandigarh on NH-1. The three battles fought near the city in 1526, 1556 and 1761 were all turning points in Indian history. The city is famous in India by the name of "City of Weavers" and "Textile City". It is also known as the "cast-off capital" due to being "the global centre for recycling textiles". Tajbeg Palace or Tapa-e-Tajbeg, also inaccurately called the Queen's Palace, is a palace built in the 1920s and located about 10 miles (16 km) south-west outside the centre of Kabul, Afghanistan. The once stately mansion sits atop a knoll among foothills where the Afghan royal family once hunted and picnicked. It should not be confused with Darul Aman Palace, which is about 1.3 kilometres (0.81 mi) northeast from Tajbeg Palace. The history of Peshawar is intertwined with the history of the broader Indian subcontinent. 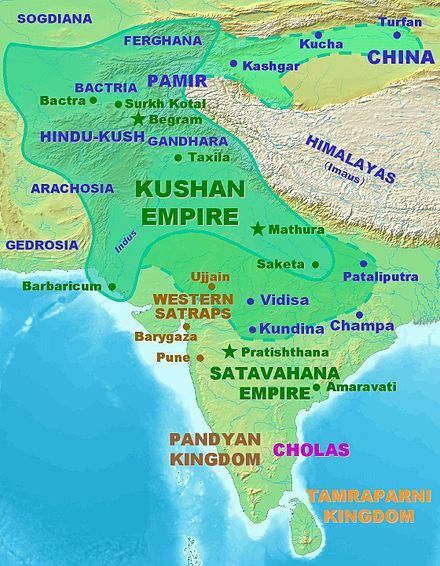 The region was known as Puruṣapura in Sanskrit, literally meaning "city of men". It also found mention in the Zend Avesta as Vaēkərəta, the seventh most beautiful place on earth created by Ahura Mazda. It was known as the "crown jewel" of Bactria and also held sway over Takshashila. Being among the most ancient cities of the Indian subcontinent, Peshawar has for centuries been a center of trade between West Asia, Central Asia, and the Indian subcontinent. The Garden of Babur is a historic park in Kabul, Afghanistan, and also the last resting-place of the first Mughal emperor Babur. The garden are thought to have been developed around 1528 AD when Babur gave orders for the construction of an ‘avenue garden’ in Kabul, described in some detail in his memoirs, the Baburnama. Shah-Do Shamshira Mosque is a yellow two-story mosque in Kabul, Afghanistan on Andarabi Road, just off the Kabul River and the Shah-Do Shamshira bridge in the center of the city. It was built during the reign of Amanullah Khan. It was modelled after the Ortaköy Mosque in Istanbul. Kohi SafiDistrict is now one major historical district located in South-eastern Parwan province, Kohi Safi district is one of the most single districts where almost all of the region is populated by Safi tribe. Although in 1930s Kohi Safi was said to be one of the 2nd most populous district of Parwan after Charakar, but during 1930s-1940s the region was depopulated due to Governments pressure to evacuation of area due to Saf's War on the King. Majority of its population were displaced or escaped further in the north away from borders of capital Kabul, few escaped to west in modern Herat and many into it India. The root of the conflict seems to be started due to King Amanuallah Khan's proposal of modernization, Safi and with few other Afghan tribes armed against the ruling family of Durrani. Although some annalists assume the other factor behind the conflict and rise of Safi was mainly due to Safi's not being of ruling Durrani tribe, but rather Shinwari. Although Majority of Shinwari's enjoyed presence of Durrani and many were often involved into Government compare to those of Ghilzai, however Safis are always known to have history of conflict with many ruling governments and empires. The following is a timeline of the history of Kabul, Afghanistan. 1 2 3 "The World Factbook". CIA. Retrieved 2015-09-13. 1 2 "2003 National Geographic Population Map" (PDF). Thomas Gouttierre, Center For Afghanistan Studies, University of Nebraska at Omaha; Matthew S. Baker, Stratfor. National Geographic Society. November 2003. Retrieved 2010-06-27. ↑ "Largest cities in the world and their mayors – 1 to 150". City Mayors. 2012-05-17. Retrieved 2012-08-17. ↑ Nancy Hatch Dupree / Aḥmad ʻAlī Kuhzād (1972). "An Historical Guide to Kabul – The Story of Kabul". American International School of Kabul. Archived from the original on 2010-08-30. Retrieved 2010-09-18. ↑ "History of Kabul". Lonely Planet . Retrieved 2013-05-27. ↑ Gopalakrishnan, Raju (2007-04-16). "Once called paradise, now Kabul struggles to cope". Reuters. ↑ Abdul Zuhoor Qayomi. "Kabul City: Isn't just capital of Afghanistan but of palaces as well - Afghanistan Times". Afghanistan Times. ↑ Sayed A Azimi. "Reversing Kabul's Environmental Setbacks". www.linkedin.com. ↑ ""Mein Kabul": ORF-Reporterlegende Fritz Orter präsentiert im "Weltjournal" "seine Stadt" – am 31. August um 22.30 Uhr in ORF 2". OTS.at (in German). 1 2 3 Nancy Hatch Dupree / Aḥmad ʻAlī Kuhzād (1972). "An Historical Guide to Kabul – The Name". American International School of Kabul. Archived from the original on 2010-08-30. Retrieved 2010-09-18. ↑ "Kabul: City of lost glories". BBC. 2001-11-12. Retrieved 14 May 2015. 1 2 3 "Kabul: City of lost glories". BBC News. November 12, 2001. Retrieved 2010-09-18. ↑ Graciana del Castillo (2014-04-02). Guilty Party: The International Community in Afghanistan. Xlibris Corporation. p. 28. ISBN 9781493185702. ↑ Hafizullah Emadi (2005). Culture and Customs of Afghanistan. Greenwood Publishing Group. p. 26. ISBN 9780313330896. ↑ Peter Marsden (1998-09-15). The Taliban: War, Religion and the New Order in Afghanistan. Palgrave Macmillan. p. 12. ISBN 9781856495226. ↑ Trudy Ring. International Dictionary of Historic Places: Asia and Oceania. Taylor & Francis. ISBN 9781884964046. ↑ John Snelling (31 August 2011). The Buddhist Handbook: A Complete Guide to Buddhist Teaching and Practice. Random House. ISBN 9781446489581. ↑ Houtsma, Martijn Theodoor (1987). E.J. Brill's first encyclopaedia of Islam, 1913–1936. 2. BRILL. p. 159. ISBN 978-90-04-08265-6 . Retrieved 2010-08-23. ↑ Louis Dupree (2014-07-14). Afghanistan. Princeton University Press. p. 299. ISBN 9781400858910. ↑ Watson, John Forbes; Sir John William Kaye (2007). The people of India: a series of photographic illustrations, with descriptive letterpress, of the races and tribes of Hindustan. 1. Pagoda Tree Press. p. 276. ISBN 978-1-904289-44-9 . Retrieved 2010-09-18. The Sanskrit name of Cabul is Kamboj, and a slight transition of sound renders this name so similar to Kumboh. ↑ Mookerji, Radhakumud (1966). Chandragupta Maurya and his times (4 ed.). 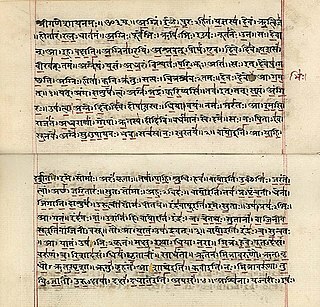 Motilal Banarsidass Publ. p. 173. ISBN 978-81-208-0405-0 . Retrieved 2010-09-18. ↑ "A.—The Hindu Kings of Kábul (p.2)". Sir H. M. Elliot. London: Packard Humanities Institute. 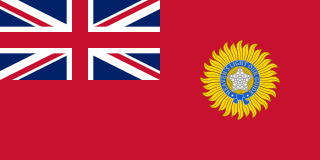 1867–1877. Retrieved 2010-09-18. ↑ Hill (2004), pp. 29, 352–352. 1 2 "A.—The Hindu Kings of Kábul". Sir H. M. Elliot. London: Packard Humanities Institute. 1867–1877. Retrieved 2010-09-18. ↑ Wilson, Horace Hayman (1998). Ariana antiqua: a descriptive account of the antiquities and coins of. Asian Educational Services. p. 133. ISBN 978-81-206-1189-4 . Retrieved 2010-09-18. ↑ "A.—The Hindu Kings of Kábul (p.3)". Sir H. M. Elliot. London: Packard Humanities Institute. 1867–1877. Retrieved 2010-09-18. ↑ Ibn Battuta (2004). Travels in Asia and Africa, 1325–1354 (reprint, illustrated ed.). Routledge. p. 180. ISBN 978-0-415-34473-9 . Retrieved 2010-09-10. ↑ Zahir ud-Din Mohammad Babur (1525). "Events Of The Year 910". Memoirs of Babur . Packard Humanities Institute. Retrieved 2010-08-22. ↑ Gall, Sandy (2012). War Against the Taliban: Why It All Went Wrong in Afghanistan. Bloomsbury Publishing. p. 165. ISBN 978-14-08-80905-1 . Retrieved 2013-09-30. ↑ "Kabul". Online Encyclopædia Britannica . Retrieved 2010-09-18. ↑ Anthony Hyman, "Nationalism in Afghanistan" in International Journal of Middle East Studies, 34:2 (Cambridge: Cambridge University Press, 2002) 305. ↑ Nick Cullather, "Damming Afghanistan: Modernization in a Buffer State" in The Journal of American History 89:2 (Indiana: Organization of American Historians, 2002) 518. ↑ "The Lonely Planet Journey: The Hippie Trail". The Independent. 5 Nov 2011. Retrieved 14 June 2017. 1 2 3 Haynes, 373. ↑ "Nur Muhammad Taraki". Notable Names Database. 1 2 3 Yousaf, PA, Brigadier General (retired) Mohammad (1991). Silent Soldier: The Man Behind the Afghan Jehad General Akhtar Abdur Rahman. Karachi, Sindh: Jang Publishers, 1991. p. 106. ↑ Kakar, Hassan M. (1997). 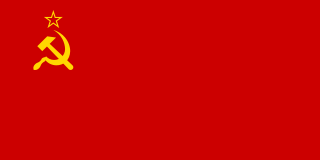 Afghanistan: The Soviet Invasion and the Afghan Response, 1979–1982. University of California Press. p. 291. ISBN 978-0-5202-0893-3 . Retrieved 2013-01-08. ↑ "Kabul at War (1992–1996): State, Ethnicity and Social Classes". samaj.revues.org. Retrieved 2014-10-25. ↑ Bowersox, Gary W. (2004). The Gem Hunter: The Adventures of an American in Afghanistan. United States: GeoVision, Inc. p. 100. ISBN 978-0-9747-3231-2 . Retrieved 2010-08-22. ↑ Kolhatkar, S.; Ingalls, J.; Barsamian, D. (2011). Bleeding Afghanistan: Washington, Warlords, and the Propaganda of Silence. Seven Stories Press. ISBN 9781609800932 . Retrieved 2014-10-25. ↑ Nazif M Shahrani, "War, Factionalism and the State in Afghanistan" in American Anthropologist 104:3 (Arlington, Virginia: American Anthropological Association, 2008), 719. ↑ "Casting Shadows: War Crimes and Crimes against Humanity: 1978–2001" (PDF). Afghanistan Justice Project. 2005. Archived from the original (PDF) on 2013-10-04. ↑ Amnesty International. "DOCUMENT – AFGHANISTAN: FURTHER INFORMATION ON FEAR FOR SAFETY AND NEW CONCERN: DELIBERATE AND ARBITRARY KILLINGS: CIVILIANS IN KABUL." 16 November 1995 Accessed at: "Archived copy" . Retrieved 2014-10-18. 1 2 "The Taliban's War on Women. A Health and Human Rights Crisis in Afghanistan" (PDF). Physicians for Human Rights. 1998. ↑ "U.S. blames Pakistan agency in Kabul attack". Reuters. September 22, 2011. Retrieved 2011-09-22. ↑ "U.S. links Pakistan to group it blames for Kabul attack". Reuters. September 17, 2011. Retrieved 2011-09-21. ↑ "Clinton Presses Pakistan to Help Fight Haqqani Insurgent Group". Fox News. September 18, 2011. Retrieved 2011-09-21. ↑ "Pakistan condemns US comments about spy agency". Associated Press. September 23, 2011. Retrieved 2011-09-23. ↑ Baktash, Hashmat; Rodriguez, Alex (December 7, 2008). "Two Afghanistan bombings aimed at Shiites kill at least 59 people". Los Angeles Times . Retrieved 2011-12-09. ↑ RUBIN, ALISSA. "U.S. Embassy and NATO Headquarters Attacked in Kabul". nytimes.com. ↑ Holehouse, Matthew (13 September 2011). "Kabul US embassy attack: September 13 as it happened". London: telegraph.co.uk. ↑ "At least 55 killed in Kabul suicide bombing". The Hindu. Chennai, India. December 7, 2008. Retrieved 2011-12-09. ↑ "Photos of the Day: Dec. 8". The Wall Street Journal. December 7, 2008. Retrieved 2011-12-09. ↑ "Kabul Climate Normals 1956–1983". National Oceanic and Atmospheric Administration. Retrieved 2013-03-30. ↑ Navid Ahmad Barakzai, ed. (September 27, 2016). "20,000 foreign tourists visit Afghanistan annually". Pajhwok Afghan News (PAN). Retrieved 2017-05-15. ↑ "GeoHive - Afghanistan extended population statistics". Archived from the original on 2015-07-21. ↑ Rasmussen, Sune Engel (11 December 2014). "Kabul – the fifth fastest growing city in the world – is bursting at the seams" – via The Guardian. ↑ "Projects : Kabul Urban Reconstruction Project | The World Bank". Worldbank.org. Retrieved 2014-05-18. ↑ "DVIDS – News – US Forces – Afghanistan adjusts its $9.1 billion infrastructure program to meet Afghans' near-term needs". Dvidshub.net. Retrieved 2014-05-18. ↑ "Kabul's Tax Levies Raise Flags From U.S. Watchdog – WSJ". online.wsj.com. Retrieved 2014-10-25. ↑ "Corruption Perceptions Index 2010 Results". Transparency International. 2010. Retrieved 2011-02-27. ↑ 09.08.13. "Afghanistan's Million Dollar Minister". The Daily Beast. Retrieved 2014-05-18. ↑ Muhammad Hassan Khetab, ed. (4 September 2013). "$1b contract signed to begin work on New Kabul City plan". Pajhwok Afghan News -. Retrieved 2013-09-30. ↑ "Welcome to our Official Website". DCDA. Retrieved 2012-08-17. ↑ "Onyx Construction Company". Onyx.af. Archived from the original on 2012-04-27. Retrieved 2012-08-17. ↑ Micallef, Joseph V. (8 November 2015). "Afghanistan 2015: The View From Kabul". ↑ Nakamura, David (2010-08-27). "In Afghanistan, a car for the masses". The Washington Post. ↑ "Catherine Lytle: From Gerbils to Trolleybus". ↑ "دپوھنی وزارت". Moe.gov.af. Retrieved 2014-05-18. ↑ Rivera, Ray; Sahak, Sharifullah (2011-05-21). "Blast Hits Military Hospital in Afghan Capital". The New York Times. ↑ S. Hakim Hamdani. "DK – German Medical Diagnostic Center Ltd. – Experience, Quality, Excellence". medical-kabul.com. Retrieved 27 July 2015. ↑ CURE International. "CURE Afghanistan". CURE. Retrieved 27 July 2015. ↑ "Sister Cities of Istanbul". Greater Istanbul. Retrieved 10 April 2015. Tang, Alisa (January 21, 2008). "Kabul's Old City Getting Face Lift". The Boston Globe . Associated Press. 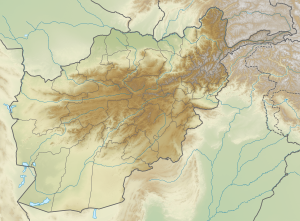 Wikimedia Commons has media related to Kabul . Wikivoyage has a travel guide for Kabul .